An ex-con goes on the run with his daughter when she finds herself hunted by a Mexican cartel. As a chase thriller, Blood Father isn't quite thrilling enough to fully satisfy. But as a story of familial redemption in rugged action clothing, it's a surprisingly touching and endearing drama. See it with your Daddy, or your daughter. With David Mackenzie's Hell or High Water and Andrea Arnold's American Honey, 2016 has been a good year for European filmmakers working in very American settings, and in very American genres. Frenchman Jean-Francois Richet's Blood Father is a tough action thriller set along the dusty highways and backroads of the American South West, a joint celebration and condemnation of that country's infamous gun culture. The commentary begins with the film's opening scene, as teenager Lydia (Erin Moriarty) is refused a pack of cigarettes at a supermarket checkout due to a lack of ID. "I'll just take the bullets so," she shrugs, walking out with enough ammo to overthrow a small European nation. One of the bullets ends up fired by Lydia into her boyfriend, Mexican drug dealer Jonah (Diego Luna), when he tries to force her into killing a woman who has doublecrossed his cartel. Lydia flees into the arms of her estranged father, John (Mel Gibson), an ex-con, ex-alcoholic attempting to stay straight and sober. The two quickly find themselves on the run, fleeing for their lives with a deadly crew of cartel killers on their tails. 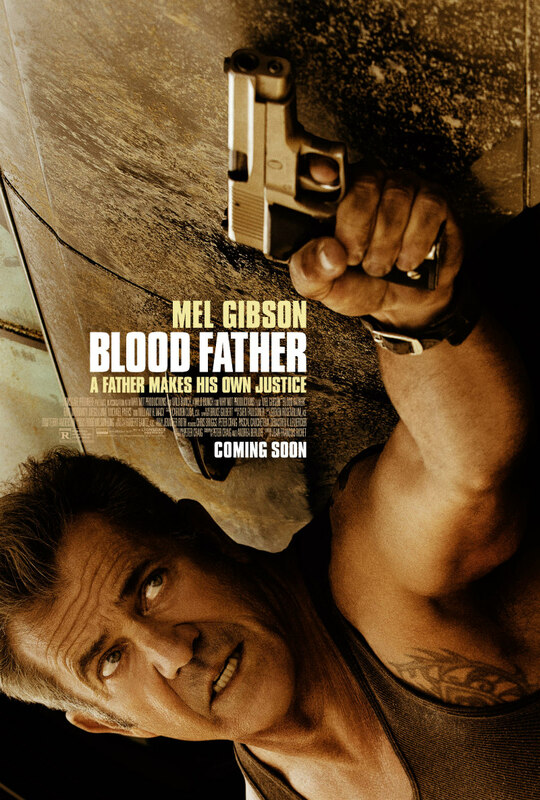 Since the anti-semitic rant that made Gibson the most hated man in Hollywood, the Aussie star has made the occasional supporting appearance, but Blood Father constitutes something close to an official comeback. It's a role that seems written explicitly for Gibson. When we meet his character first he's celebrating a year of sobriety at an AA meeting, apologising for the actions of his former life, acknowledging the hurt he caused. Later, he has a heated confrontation with a neo-Nazi played by Michael Parks; perhaps Gibson doth protest too much? 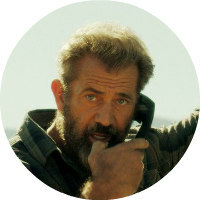 Had another actor been cast in the role (personally, I would have liked to see Stallone in this one), Blood Father may lose this meta element, but it would still be an effective piece of mid-budget genre filmmaking. It's a movie that shows no pretence towards realism, but it uses its larger than life characters and scenario effectively, and the relationship between Gibson and Moriarty has far more depth than the Daddy-daughter dynamic of the Taken franchise for example. If there's one major flaw of the film it's that it lacks a set-piece or two with that Oomph factor, and as a chase thriller Blood Father isn't quite thrilling enough to fully satisfy. But as a story of familial redemption in rugged action clothing, it's a surprisingly touching and endearing drama. See it with your Daddy, or your daughter. Blood Father is in cinemas October 7th.